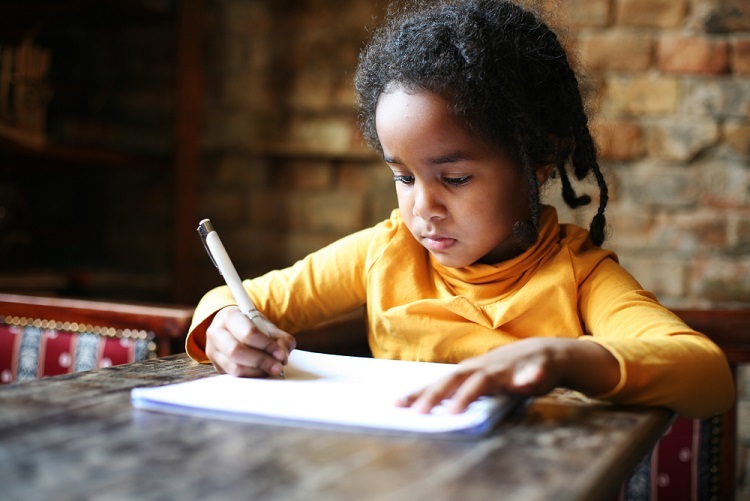 Motivating children to write can be a difficult task. Make writing fun at home or school by using these simple ideas. Writing a letter can inspire kids to put pen to paper. Enlist a willing family member or friend to be a ‘pen pal’ for the child. Or, for a fun ‘twist’ on letter writing, get younger children to write to an imaginary person or creature, like a favourite superhero, princess or movie character. Leave the letter in a special place (like the mailbox or doorstep) to be ‘collected’ by this character, then compose a letter in response for the child to receive. Paste photos from a family holiday or school excursion onto A4 pieces of paper. Children compose a sentence or paragraph to describe what is happening in the photo. Alternatively, use book creation apps to design personalised books. There are some great free ones available such as Book Creator, Story Creator and My Story Book Creator. Encourage children to record their thoughts, feelings and experiences in a diary or journal. Allow them to choose if they would like to share what they have written and if they do, respond in a positive manner. Play a ‘Treasure Hunt’ game. The child writes instructions on small pieces of paper, e.g. Look under the doormat and places these clues in the relevant spots (older children can use more complex instructions). Then you, a sibling or friend follow the clues to locate a small ‘treasure’ – like a sticker or lolly. Keep a small notebook or block of sticky notes handy for any words the child might need help spelling. Offer the use of a word processor. This helps familiarise the child with the setup of a keyboard and the functions of a word processor. Hopefully, these ideas can help you motivate children to view writing as an enjoyable experience rather than a tiresome task!